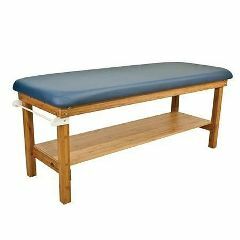 Strong, stable and remarkably durable, the Oakworks Treatment Table is in a league of its own. The solid hardwood construction resists humidity, withstands any application requirement and will continue to promote your professional image year after year. Heavy duty hardware will last a lifetime and reinforces the quality engineering found in each detail of this solid performer.